6 – 9 November 2018 will take place the 22nd edition of Ecomondo, Rimini expo, the most important Italian fair (the second in Europe) dedicated to solutions for the sustainable development, green economy and “circularity”. 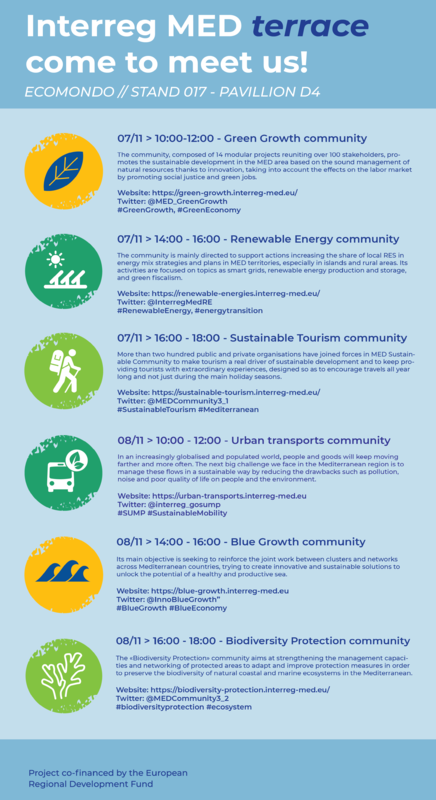 This year the Interreg MED Green Growth Community will participate to several sessions. The three day (6, 7, 8 November) program as follows. 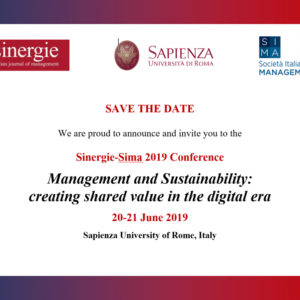 Representatives from six Interreg MED thematic communities will present their achievements and share their challenges with private organisations, local public authorities and international organisations. It will be organized a common stand for the six Interreg MED Communities. Wednesday 7th November from 10 am to 12 pm, the stand will be completely dedicated to Green Growth Community in order to promote the 14 projects of the Community and to find synergies with the different modular projects, with the other Interreg MED Communities and with the external public. The workshop Is organized by Interreg MED Green Growth Community and it is completely dedicated to clusters. It will be an unique opportunity for the academic world, experts and clusters of the Mediterranean to create synergies among the 14 Green Growth projects of Interreg MED program and the more than 100 stakeholders coming from the Mediterranean area and to debate and gather insights on the state-of-the-art, the perspectives and the good practices on a variety of thematics (water, energy, manufacturing, eco-design, etc. ).